Set Up Your Profitec Pro 700. 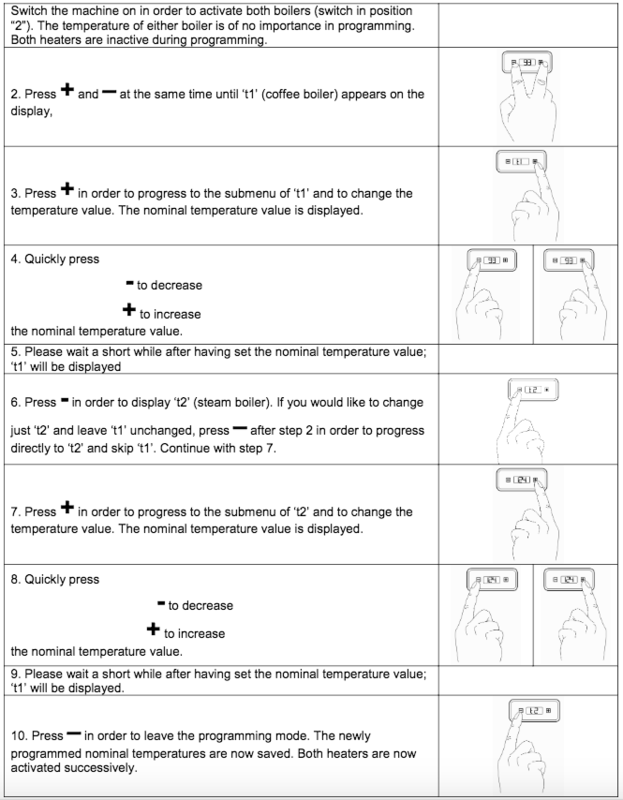 In this manual, you should find everything you need to operate and maintain your dual boiler, E61 espresso machine. Please read carefully before using your Profitec Pro 700. If you have any other questions, be sure to contact us. Let's get started! A manual boiler venting is not necessary because the Pro 700 contains a professional Anti-Vacuum valve, which vents the boiler during the heat-up phase. 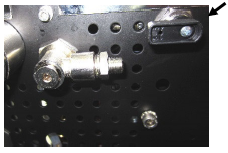 This venting is released through the circular port directly above the drip tray. Caution, steam forms! Manual boiler venting is not necessary because the Pro 700 contains a professional Anti-Vacuum valve, which automatically vents the boiler during the heat-up phase. This venting is released through the circular port directly above the drip tray. Caution, steam forms! Figuring out the right water to use doesn’t need to be super complex. Primarily, we are looking for clean, filtered water that has some but not too much mineral content. We recommend using water hardness test strips (we also include them with every direct-plumbable machine purchase). 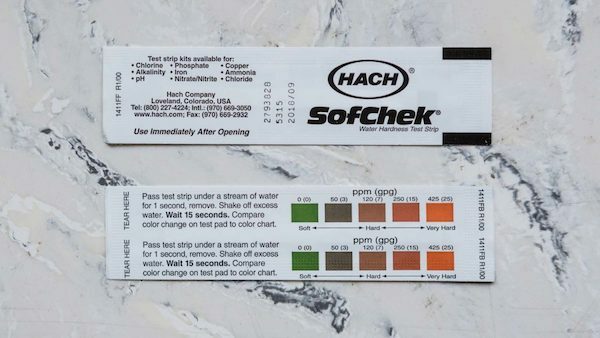 These test strips will allow you to measure exactly how hard your water is. We recommend using a water softener if you get a measurement of below 50 parts per million (PPM) or 3 grains per gallon (GPG). 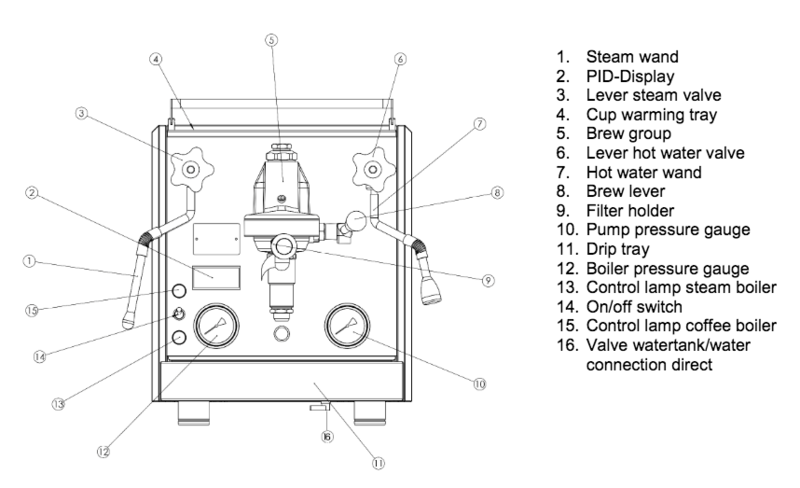 As mentioned above, some mineral content (above 30 PPM) is necessary for the best tasting espresso, and also for the machine to run without overfilling the boilers. Reverse osmosis systems typically will take all the mineral out of the water, and this is problematic as well as the machine requires mineral content for many of the internal sensors. For most optimal results, we recommend hardness above 80ppm and below 150ppm. Always check your water quality with test strips first because if you are in an area with soft water, you may only need to filter it. There are plenty of options for filtering and softening your water. A few options are filter/softening pitchers such as the Soma Water filter pitchers, in-tank water softeners, and bottled water. With bottled water, these also vary in terms of mineral content, so we also recommend testing the bottled water with test strips. A couple affordable water bottle companies with just the right amount of mineral content are Crystal Geyser and Poland Springs. If you plan to plumb in your machine, or have it plumbed in already, we carry water filter only systems, and water filter and softening systems that come with all the fittings you need to connect directly to your water source on one end, and the water line directly to your machine on the other end. These are easy to install and will ensure you are getting the ideal water to your machine with every use. Feel free to contact us with any questions on water or finding the right setup for you!